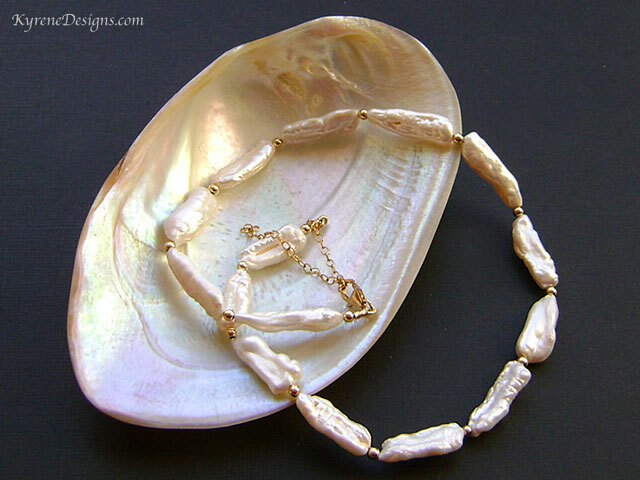 Luxury creamy Biwa pearls with 14ct goldfilled beads for a stunning contemporary design. Modern elegance for a special occasion as well as adding glamour for every day. 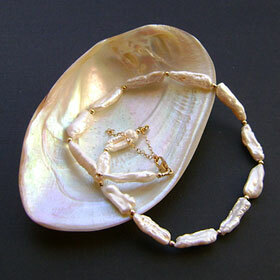 Also a perfect choice for wedding jewellery. Length: 17 inches. 14ct goldfilled trigger clasp and 2" extender.